Last month we showed you how to set up your rear mech, and this time it’s the turn of the front. A mountain bike front mech can cause headaches for many people, and not just novices either, so don’t be ashamed if you’ve had problems setting it up previously. Just like the rear mech, set-up is much easier once you understand exactly what the adjustments actually do. Tinkering blindly usually causes more problems than it solves. Before you get stuck in twiddling screws and replacing cables, it is essential that you get the mech positioned correctly on the frame. If your bike comes with an e-Type or direct mount front mech, you won’t need to worry (as long as it was installed properly in the first place). As with a rear mech, there are two main adjustments to be made; the limit screws and cable tension. 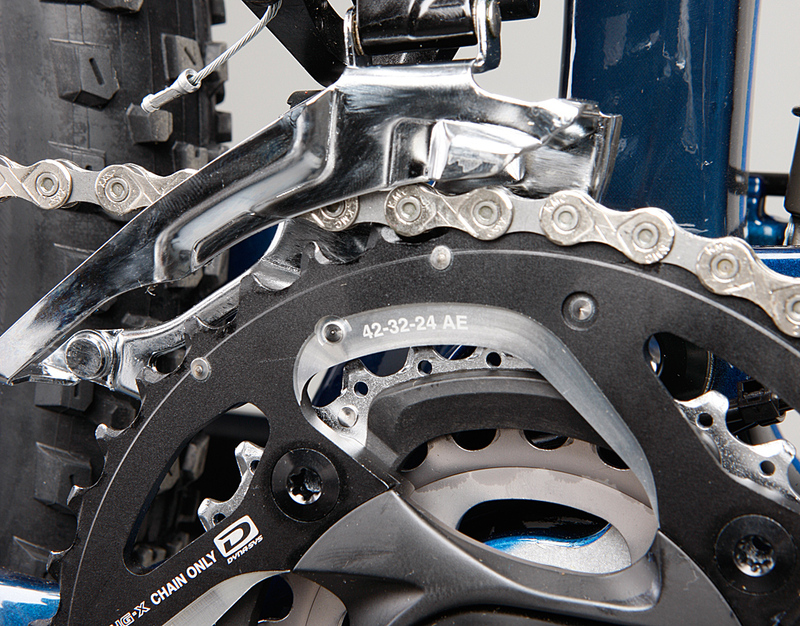 The limit screws control the range of movement the mech has across the chainrings. The L (low) screw deals with the position of the mech in the smallest chainring, allowing it to shift the chain onto the ring without derailing it. The H (high) screw does the same for the large ring. Cable tension is set at the clamp on the mech and fine-tuned by the barrel adjuster at the shifter. Correct tension allows all three rings to be accessed and fine-tunes the position of the mech when in the middle ring position, which is not affected by either limit adjustment. Remember, it will often be impossible to eliminate rubbing altogether, especially if you select gears where the chain runs at an extreme angle. Don’t stress about this too much and focus on minimising rub in your most frequently used gears. Check out the full article in the August 2013 issue of MBR, out Wednesday, July 24.